The second ice-protected tanker built for the Novy Port project will soon shuttle between Yamal and the Kola Bay. The «Shturman Malygin» has ice-protection standard Arc7 and a capacity to carry 38,000 tons of oil across Russian Arctic waters. It is the second of a total of six tankers built for Gazprom Neft’s Novy Port project in Yamal. The ship was this week put on the water by the Samsung Heavy Industries’ plant in South Korea. «These kind of tankers have no analogue in Russia», Gazprom Neft representative Anatoly Cherner says in a press release. The first vessel of the new fleet, the «Shturman Albanov» was put on the water in March. The ships are able to break through 1,8 meter thick ice and can operate autonomously in the Ob Bay through major parts of the year. 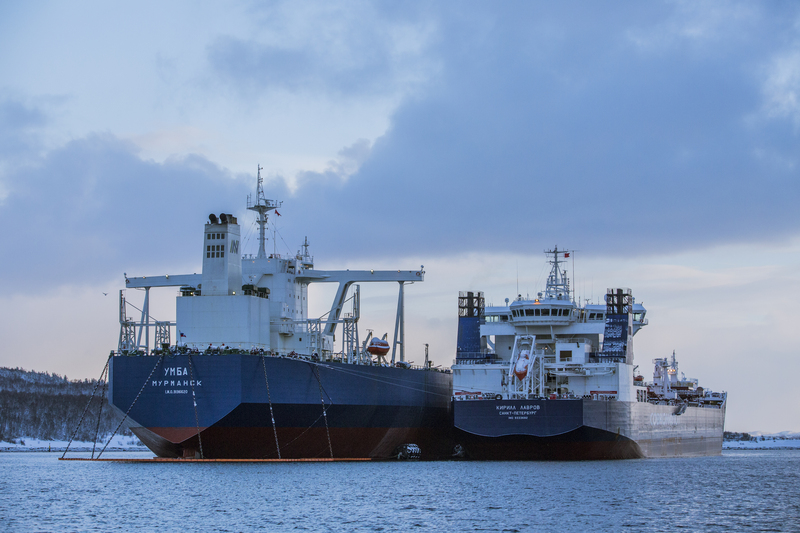 When all the six tankers are taken into operation, they will together be capable of bringing about 450,000 tons of oil per month from the field, Gazprom Neft informs. The Novoportovskoye is one of the biggest oil fields in the Yamal Peninsula. When in full production, presumably already by the end of 2016, it will deliver up to 5,5 million tons of oil per year, all of it pipelined to Cape Kamenny on the Ob Bay coast and from there shipped to Murmansk. The new tankers will deliver the Novy Port oil to the 300,000 ton terminal tanker «Umba» stationed in the Kola Bay. The «Umba» also handles oil from Prirazlomnoye, the offshore field in the Pechora Sea.